Save up to 30% on selected 7 night stays throughout 2019, book online today! 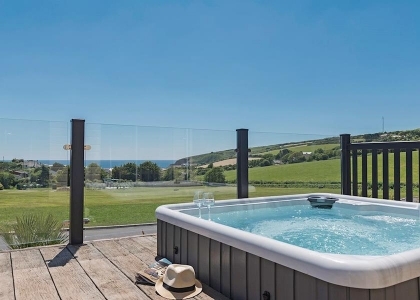 Cornwall family friendly holiday park in Praa Sands with pets welcome located within easy walking distance of one of Cornwall’s finest sandy beaches. This exclusive development is the perfect retreat for families and couples looking for something extra special. Chill out at the bar and restaurant - take a seat on the terrace and watch the sunset over the ocean before choosing a meal created using the finest Cornish ingredients. Enjoy the indoor heated pool and gym plus the superb 9 hole golf course. There’s safe surfing, bathing galore and numerous tourist attractions on your doorstep including Land’s End, Mousehole and St Michael’s Mount.